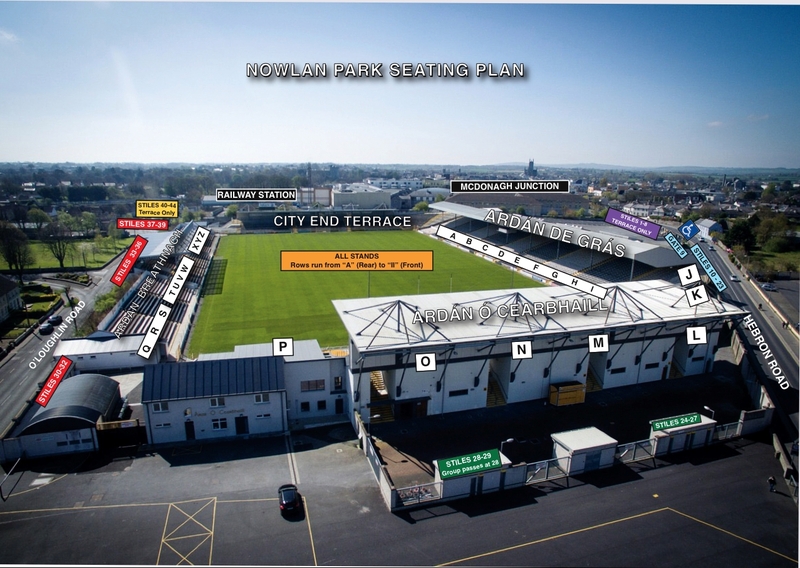 Pre-purchase tickets are on sale at participating Centra and Supervalu stores up until Saturday evening, cost €15. 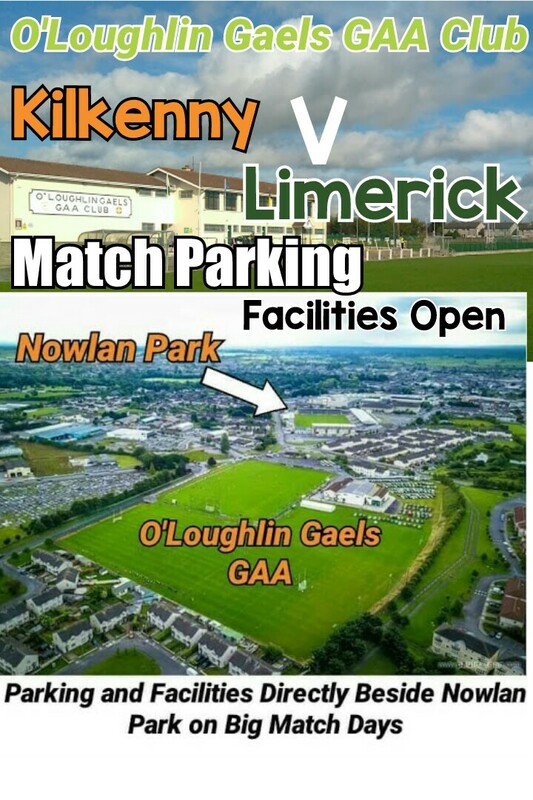 On the day at the ground tickets will be Adults €20, Students/OAP's €15 (valid student ID required) and U-16 Free. Tickets are also available online here. This link will be live up to three days before the game. 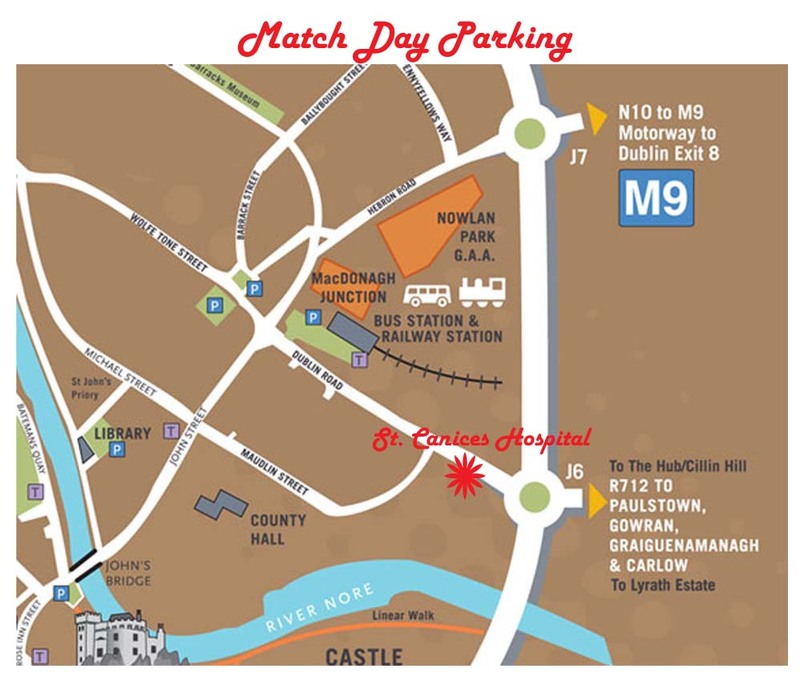 Parking for the game will be available in McDonagh Junction Shopping Centre, O'Loughlin Gaels GAA Club and at County Hall (access of Maudlin Street) See graphics below.